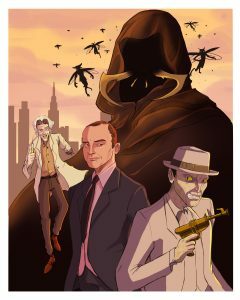 Blog Villainous New Art for Empire City! Villainous New Art for Empire City! Exciting news from your pals at Empire City Adventures — we have new art! 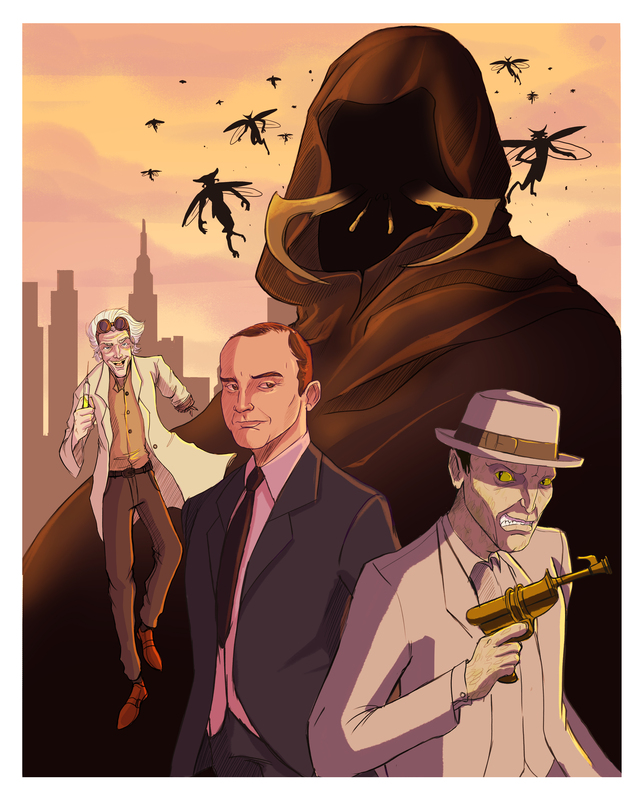 The inimitable Trevor Fraley has assembled a rogues’ gallery of the most dastardly villains of Empire City: the deadly Dr. Nefarious, the scheming Harvestman, sniveling henchman Salvador Amander, and the alien queen Xhotha. We love what Trevor’s done, and hope you do too. This illustration will accompany the print collection of Empire City’s first arc of stories, which we plan to unveil in 2018. If you’re interested in learning more about these characters, our e-books are available on Kindle, Nook, and iBooks. Trevor’s art is supported by our lovely patrons, and we can’t thank you enough for everything you do. Stay tuned and keep ’em flyin’!